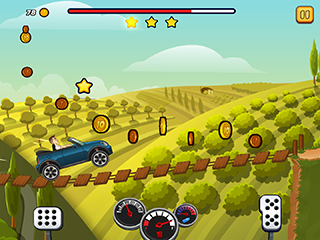 Drive over hilly tracks, collect stars, coins and pickups to upgrade your cars and get further! Also watch out for various obstacles! But you can also use them to perform some backflips... just watch your head! So, buckle up, driver! 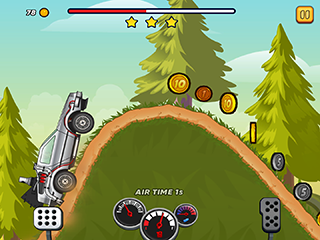 Drive from the start to finish in each level and collect coins to upgrade your cars. 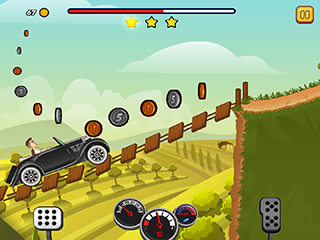 Drive from the start to finish in each level and collect coins to upgrade your cars. 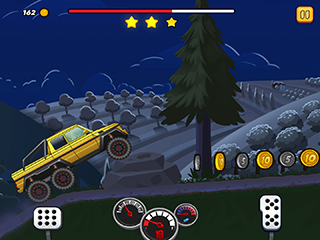 Collect stars to master the levels and other pickups will help you get further. 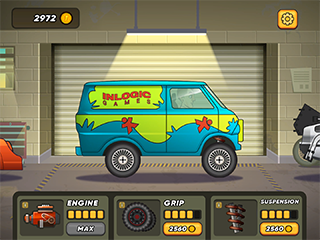 Try doing tricks to gain bonuses!